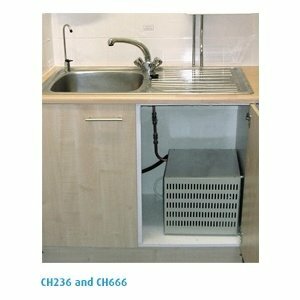 Compact cube-shaped hideaway water cooler units suitable for under sink location. CH236 with 2L cooling tank and CH666 with high capacity aluminium block direct chill system. Glass filler GF1 supplied as standard. 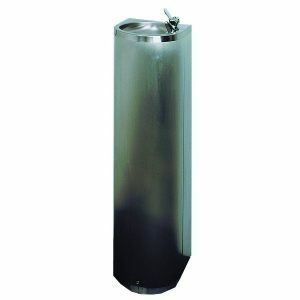 DF40 or S232 surface-mounted drinking fountain or any wall mounted fountain. All the models in this series are fitted remotely from the faucets they feed. Locations such as under counters in office kitchens or often behind a wall to feed a wall mounted drinking fountain are just two of the many types of installations that are popular with our customers. Wherever the Hide-Away models are installed, it is vital that there is sufficient ventilation to prevent the unit over-heating and ultimately failing. Model CH236 will produce 24L/hr and CH666 68L/hr. 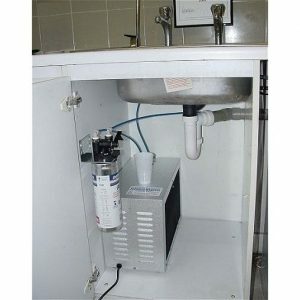 A glass filler GF1 is provided with these units as standard. Both models are a very compact cube in shape. They each measure approx. 300 x 300 x 300. The larger capacity models MH5 and MH9 can provide cooled water to more than one outlet. As many as four outlets can emanate from MH5 and two from MH9. 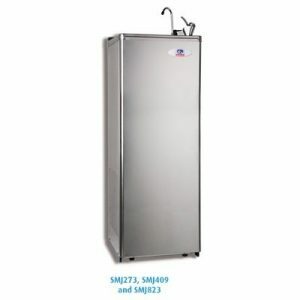 Their capacity is 40L/hr and 72L/hr respectively.